This 42nd Generation falls into the cycle of 7 generations (to check it, click here). This generation is however the only one of this cycle of 7 that also falls in a change of millennium since the Creation. This is a generation that witnessed on one hand a drastic increase of persecutions and discriminations against Jewish communities and in another hand a strenghening of the faith with a great number of Jewish scholars, the development of the more mystical Kabbalah and overall better erudition in the Diaspora communities. 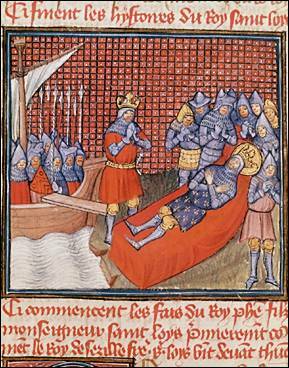 In 1208, the papal legate of Montpellier, Pierre de Castelnau, was murdered while in travel to Provence. The fingers pointed to the Cathars who opposed the power of the Church in the Languedoc region, where Catharism had met with the most success. As a result, Pope Innocent III excommunicated all the followers of this doctrine and this decision opened the door to a military campaign in Southern France. An army of 10,000 crusaders was gathered. Some asked how to recognize a good Christian from an heretic. The answer was: Kill them all ! And let the Lord discerns which one are His. What followed was a campaign of massacres and destructions across the Languedoc region. The first military campaign lasted until 1215, and ended with the exile of some of the Cathar leader, and the repossession of the lands to either Catholic lords engaged in the campaign or to the king of France. But other campaigns were done in the Western and Southern parts of France, for example against Toulouse in 1241 and until the last fortress held by the Cathars, in Montsegur, fell in 1243. A Christian crusade was gathered in Spain to support a coalition led by the king of Castile Alfonso VIII in a campaign against the Muslims. After the decisive battle of Las Navas de Tolosa near Jaen on 16 July 1212, most of Al-Andalus passed under Christian control, with the exception of the kingdom of Granada which lasted until 1492. Two years later, on 27 July 1214, the French king Philip Augustus won a decisive battle at Bouvines which sealed the authority of the French dynasty over western regions of Britanny and Normandy. In England, the king John Lackland (Jean Sans Terre), brother of Richard Lionheart who had died during a battle against France, was forced to sign the Magna Carta that ensured that the king of England would not abuse authority against the aristocracy. This act guaranteed the continuation of the cooperation between the king and his landlords, unlike France where the king had full authority. Pope Innocent III conveys this new council to discuss the limited success of the Third Crusade and the result of the other religious campaigns. The council also, for the first time, made a rule of the practice of the rouelle in France, which imposed to Jews and Muslims to wear a distinctive piece of cloth on their costume. Judah was the son of Samuel Kalonymus, from a family who emigrated from Lucca (Italy) a couple of generations previously and first settled in Mainz (Germany). During or after the massacres of the First Crusade, Samuel moved to Speyer (Germany), where his son Judah was born in 1140. Judah lost his father when young, and then settled in Regensburg (Ratisbon, Germany) in 1195. There he founded a yeshiva and wrote some books that formed the foundation of the future Chasidic movement (his principal work, the Sefer Chasidim, was first published in 1538 in Bologna, Italy). When the Ottomans (Turks) conquer Jerusalem, they will rule over Jerusalem for eight Jubilee [cycles]. Afterwards Jerusalem will become no-man’s land for one Jubilee, and then in the ninth Jubilee it will once again come back into the possession of the Jewish nation – which would signify the beginning of the Messianic end time. The Muslims conquered Jerusalem, with Saladin, in the year 4948 AM (1187 CE), which is about 100 Jubilee cycles from Creation, and about 50 Jubilee cycles from the Exodus. The control of the Holy City however changed hands many times until, in 1517, the Ottomans defeated the last rulers, the Mamelukes. So the eight Jubilee cycles of Rabbi Judah's prophecy added 8 x 50 = 400 years to year 1517. And indeed, Jerusalem was liberated by the British commander General Allenby in late 1917. The first part of the prophecy worked. The second part worked as well, because the Jewish nation came in possession of the Holy City after the Six-Day War in 1967, thus one Jubilee cycle (50 years) from 1917. And according to Rabbi Judah, this event will mark the beginning of the Messianic times when, de facto, the Jews return to [Mount] Sion which is Jerusalem. The next phase could start 50 years later, to reach the 10th Jubilee, in year 2017. The prophet Elijah, who will precede the Messiah, appeared to me and revealed many things to me and emphasized that the precondition for answered prayer is that it is fueled by enthusiasm and joy for the greatness and holiness of God. To fight against ongoing heretic Christian movements, Pope Gregory IX gave power to the Dominican Order to carry out inquisitorial tribunals. This was the beginning of the active and organised Inquisition under Papal authority, although previous tribunals had been set up before. From fighting the heresy, the Inquisition turned against the Jews as well. Later in 1478, the Spanish king will establish the Inquisition under his direct authority and with more desastrous effects against the Jews. Nicolas Donin, a Jew from Pars who had been excommunicated from the Jewish community, converted to Christianity and settled in La Rochelle, Western France, where he started to preach against the Jews. Further, he went to Rome in 1238 to meet with Pope Gregory IX and convinced him that the Talmud contained disrespectful comments about Jesus and Mary ! The Pope believed him and sent orders for all copies of the Talmud to be seized and examined by the Dominicans. This papal order was not followed, except in France. The translation of The Guide of the Perplexed (Moreh Nebukim) from Maimonides led a prominent rabbi, Solomon ben Abraham of Montpellier, to condemn it as heretical. The problem is that he made his condemnation his mission in life, and endeavoured to gather support against the works of Maimonides. He succeeded to get backing from prominent rabbis from his previous pupils, of which Jonah Gerondi (known as Rabbenu Yona), and together they issued a devastating excommunication of Maimonides' works in 1232. But they they did worse: in 1233 they went to Dominican monks, the very Order that was tasked of the Inquisition against Christian heresy, to announce the heretical nature, as they saw it, of Maimonides' books. Although this issue was more related to Jewish doctrine and should not have involved Christian authorities, the monks seized the opportunity of this denunciation to order the public burning of all the books of Maimonides, and the same order was carried out in Paris and the rest of the French kingdom. The rest of the Jewry was filled with horror and condemned the over-zealous rabbis to have caused such damage to their brethren, and put in danger the Jewish communities at the hand of the Dominicans who pursued their quest to burn the "heretical" Jewish works. This however was not enough to stop the stubborn Solomon, as he went to further denounce to the Dominicans those he regarded as supporters of Maimonides' works. In 1223, Louis VIII succeeded his father Philip Augustus and pursued his policy of expansion of the French kingdom against smaller regions in Central and Southern France. Concerning the policy towards the Jews however, he reversed an ordinance that royal officials had to record debts owed to Jews. But he died of dysentery in 1226 and was succeeded by his 12 years old son, Louis IX. 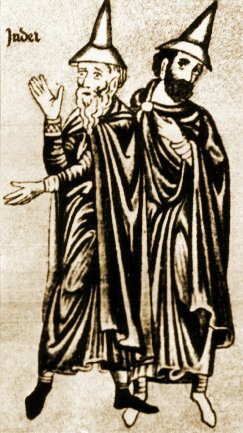 Blanche of Castile, daughter of the Catholic Spanish king and mother of Louis IX, reigned as regent until Louis was 20 years old in 1234. Louis IX was very pious. He listened to mass twice every morning and took upon himself harsh penitences. He also showed readiness to decree against the Jews, apparently despite his mother's advice to show fairness to them. Twice, before and after his crusade, he confiscated Jewish properties. He was by all means an anti-Jewish king, although the Church had made him a saint, as "Saint Louis". He was highly influenced by the Church and, unfortunately for the Jews of his reign, the Popes of these times were not themselves moderate towards them. The beginning of the 6th millennium was remembered in the Jewish communities of the Christian world as the start of mass murders of entire populations: the pogroms. With the political powers ready to act, with the mobs eager to kill and steal, and now with the religious blessing from the top, the Jews of Europe had nowhere to hide or escape. Is there any pain like our pain? Is there any calendar like ours? For the sake of these holy people we shall be granted salvation and comfort, and He will gather our outcasts with upraised hands. The Jewish communities also had to face an increase of forced debates about Jesus and Christianity. This is because some Christian scholars wanted to either prove that the Jews were wrong in refusing Jesus as the Messiah or, worse, that the Jewish Scriptures blasphemed against Jesus. Also, the affair of Maimonides' works having been declared "heretical" by Jewish authorities in France a few years earlier drew the attention of the Christian authorities into the entire Jewish works, not just those of Maimonides, for potential reasons to condemn them. He [a Jew] who seeks not to pay the tax is guilty because he steals from the Treasury of the King, whether the King is a Goy or Israelite. Now that our Exile has prolonged beyond expectation, I have preached for a long time to the exiles from Spain and to other exiles of Edom [Christiandom] that the Israelites are (more than ever) to abstain from any iniquity, and rather to take over the seal the Lord, which is Truth, and not a lie either to an Israelite or to a Goy and not deceive in any way. The result of this disputation was that the Louis IX decreed the burning of all copies of the Talmud, without waiting for the eventual judgement from the Pope who asked for this disputation. The decree was carried out publicy in Paris on 17 June 1242, and 24 carts fully loaded of Talmudic manuscripts that had been seized in 1239 were burned. [2b] On the Jewish side, the result was also that, from this time, future editions of the Talmud had the passages that were incriminated removed completely, thus to avoid possible persecutions. As of Yechiel, his son and many disciples, they fled from France and settled in Acre in 1260 (which was still under the rule of the Crusaders at that time). "So let me tell you," the King said to me, "nobody, unless he holds a big office or is a theologian, must dispute against the Jews. But the lay man, when he hears bad mouthing against the Christian faith, must defend it, not only with words but with the cutting sword, and to hit with it these bad mouthing people and the mecreans through their body, as much as he can push it in." But the damage done to Jewish scholarship of these times, when the press didn't exist yet and when manuscripts were rare, was immense. Jonah Gerondi (known as Rabbenu Yona), one of those rabbis who earlier denounced Maimonides' works to Christian authorities, ultimately realized the damage caused by his former master, Solomon of Montpellier. He decided to make repentance and wrote several books on this topic. 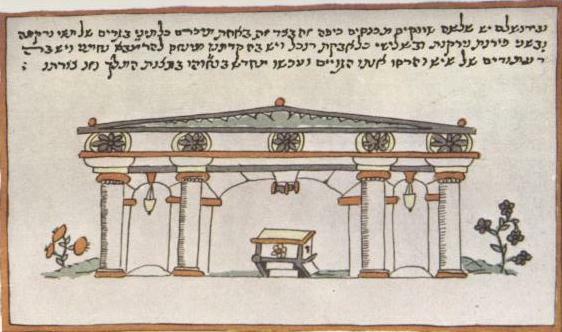 Further, he decided to travel to the Holy Land to ask forgiveness on the tomb of Maimonides. He set for this journey but was stopped in Barcelona and then settled in Toledo where he became a known religious leader there. He died in Toledo in 1263, thirty years after his involvement in the public burning of Maimonides' works. Holy Scripture pronounces among other injunctions of the Law 'Thou shalt not kill', forbidding them [the Jews] when they celebrate the Passover even to touch any dead body. Nevertheless, they are falsely accused that, in that same solemnity, they make communion with the heart of a slain child. This is alleged to be enjoined by the Law, whereas in fact such an act is manifestly contrary to it. Moreover, if the body of a dead man is by chance found anywhere, they maliciously ascribe the cause of death to the action of the Jews. On this, and many other fictitious pretexts, they rage against the Jews and despoil them of their possessions, against God and Justice and the privileges mercifully granted to them by the Holy See; notwithstanding that they have never been tried for these crimes and have never confessed them and have never been convicted of them. By starvation, imprisonment and many heavy persecutions and oppressions they harass them, inflicting upon them divers kinds of punishment, and condemning large numbers to a most shameful death. Hence the Jews, who are under the power of the aforesaid nobles, lords and princes, are in a worse condition than were their fathers in Egypt, and are compelled to go into exile from localities where they and their ancestors have dwelt from time immemorial. Wherefore, fearing that they would be utterly exterminated, they have thought well to have recourse to the wisdom of the Apostolic See. We, therefore, being unwilling that the aforesaid Jews should be unjustly harassed (seeing that the compassionate God expects their conversion, and that we believe, according to the testimony of the prophet, that the remnant of them shall be saved), do ordain that you show yourselves favourable and benign towards them. Duly redress all that has been wrought against the Jews in the aforesaid matter by the said prelates, nobles and potentates; and do not allow them in future to be unjustly molested by anybody on this or any other similar charge. Needless to say that no nobleman or layman was redressed or brought to Christian justice for having participated to the massacre of Jews, despite this Papal Bull. And, three years later, in 1250, Pope Innocent IV ordered the bishop of Cordoba (which was conquered from the Muslims in 1236) to reduce the size of the synagogue of that great city. In 1244, Jerusalem was taken by a Tartar army who was fleeing from the Mongol invasion in the East. The Pope called for another crusade but most nations were tired of this sort of effort that would only have limited success or short duration before the city would fall again to Muslim control. But Louis IX declared himself in favour of it. He had been successful at home by overcoming the heretic regions, and may have thought himself guided by God to reconquer the Holy City. Louis IX and his army landed in July 1249 in Damietta, Egypt, then moved towards Cairo in an attempt to take control of this important Muslim center and then negotiate with the Muslims about the Holy Land in exchange. But the campaign turned into a disaster and Louis returned to Damietta a few months later. His army was finally utterly vanquished and Louis taken prisonner. A high ransom was paid by France (and its Jews who had seen their assets confiscated before the crusade) for his release. He set off fro Acre, which was still a Crusader possession in the Holy Land, and then returned to France in 1254. In 1270, Louis IX attempted another crusade. He landed at Tunis but a plague spread to his camp. Louis died in Tunis in August 1270, either from the plague or from dysentery. His corpse was brought back to France, but it disappeared from its tomb in later years during the French Wars of Religion. Philip II "Le Hardi" succeeded his father on the throne of France in 1270. He led a crusade against Muslim Spain (he had married the daughter of the king of Aragon) but his army also suffered a disease that forced the king into retreat and defeat. Like his father, he died from the disastrous results of his crusade. Philip III was succeeded by his son Philip IV "Le Bel". This king would too be cursed by the fate, as it will be seen later on in this study. And the dynasty of the Capetians, who had caused so much sorrow to the Jews of France, will finally terminate soon after Philip IV's death. Coming from Eastern Asia, the Mongols attacked the Muslim empire and destroyed everything and killed everyone on their way, if a land refused their submission. This was the case of Bagdad, capital of the Abbasid empire, which they utterly destroyed after a surrender, committing all sorts of atrocities against the population. The destruction of Bagdad sent a huge shockwave to the Muslim world because Bagdad was the seat of the Caliphate and such an important trade center in these days. Luckily the leader of the Mongols died in 1259 and there was a dispute over his succession. Part of the army continued to head West and North, entering Eastern Europe, and another army entered the Levant. They reached the Holy Land in 1260 and reached Gaza with a small garrison. The Jews, like many of the people of Jerusalem, had fled Jerusalem by fear they will destroy it as they did to Bagdad two years earlier. The remains of this small Jewish community took the Torah scrolls and hid them in Sichem (present-day Nablus). They remained there for 7 years. The Mongols hoped to conquer or submit the Ayyubid empire based in Egypt, which was their last obstacle in their Muslim conquest. Their leader sent an emissary to Cairo to request their submission. In response the Ayybid leader returned the severed head of that emissary, and moved his army northward. The Ayyubid army was composed of elite troops hired from the young age from the Caucasus region: the Mamluks. The military commander was Baybars. He inflicted a severe defeat to the Mongol army which, for the first time, lost a battle. The Levant was saved and the Mongols retreated more North. The consequence of this outstanding victory was that the Ayyubid also lost power because Baybars, who became known as the "Saviour of Islam" (although being a Mamluk himself), took power and started the Mamluk dynasty in Egypt and the Levant. Jerusalem started to be under this Mamluk rule from 1260. In similar circumstances than in Paris, a converted Jew, Pablo Christiani, convinced the king of Aragon, Jaime [Chaim meaning Life in Hebrew], so-called "James the Conqueror", to put to trial the Jewish community. Rabbi Moses ben Nahman (known as Ramban in Hebrew and Nahmanides in English) from Girona, Catalonia, was called to answer the Christian accusations. Ramban was a respected scholar at the time, author of a famous Commentary of the Bible, and was 69 years old. He was also respected by the king himself who was an open-minded character who authored a Book of Wisdom (Libre de la Saviesa) that borrowed from other cultures, including Jewish and Muslim ones. The timing of this disputation may be understood in the fact that, in Castile, the king Alfonso X was probably perceived of being far too tolerant towards the non-Christians. He was a king of enlightement, eager to gather the knowledge of his times, and did not hesitate to hire Muslims and Jews in Toledo to translate some of the greatest works of the time. The astronomical Alfonsine Tables, published in 1252 from a translation from Arabic by a Jew called Isaac ben Cid, were aimed at understanding the calendar and predict the times for Christian Easter. They became very popular in Europe (until they were proven wrong by later astronomers) and may have been seen as an interference into what the Church believed and wanted to impose. The Disputation of Barcelona, under the banner of the king of Aragon, may thus be understood as a lesson to the king of Castile that he was going to far. Everything that exists under the sun or above was not made from non-existence at the outset. Instead He brought forth from total and absolute nothing a very thin substance devoid of corporeality but having the potentiality into reality. This was the primary matter created by God; it is called by the Greeks the 'hyly' (matter). After the 'hyly', He did not create anything, but He formed everything into existence and clothed the forms and put them into a finished condition. 3- who of Judaism or Christianity really holds the true faith. Obviously, in this sort of debate, under threat, there could only be one winner. So all the skills of Nahmanides was to bring answers that would not give way to make the Inquisition believe that the Jews would convert and yet this had to be done with all the necessary tactfullness that would not show that the Inquisition lost the debate. If the Midrash states that the Messiah was born the very day of the destruction of the [Second] Temple, then Jesus was not the Messiah as you declare, because he was born and was executed before that destruction. So, according to rabbinical tradition,he was born about 200 years before the destruction of the Temple, or, according to your account, 73 years before. It is interesting to note from the above conversation that Nahmanides had knowledge of the assumed birth of Jesus some 3 years before Common Era, a correction from the original Christian miscalculation, but dared mention that the Jewish Sages (from the Talmud) believed that his birth took place much earlier, at the time of the Hasmonean kings. And from the moment that the continual [burnt-offering] shall be removed (וּמֵעֵת הוּסַר הַתָּמִיד), and the giving of the abomination that causes stupefaction (וְלָתֵת שִׁקּוּץ שֹׁמֵם), there shall be a thousand two hundred and ninety days. Nahmanides declared that the Messiah should come 1290 years after the end of the divine service in the Second Temple, which he estimated to have happened in 68 CE, so the coming of the Messiah would have been in 1358 CE. Because the Disputation took place in 1263 CE, he thus declared that the Messiah should come in 95 years from their time. This obviously did not happen and there is no doubt that Nahmanides knew it was a wrong calculation, but this statement was only made to contradict the argument of the Inquisitors that the Messiah had already come under the character of Jesus. Why was the date of 1358 CE wrong? Because the verse of Daniel explicitely mentions that the duration of 1290 years is to be counted from the end of the burnt-offering (Temple service) AND the giving of an abomination that would be astonishing. Nahmanides deliberatly used the first part of the condition and not the second. But this was enough to silence his adversaries as everybody would be dead 95 years later, so his statement could not be contradicted. Many are its forsaken places, and great is the desecration. The more sacred the place, the greater the devastation it has suffered. Jerusalem is the most desolate place of all. ... There are ten men who meet on the Sabbaths they hold services at their home. ... Even in its destruction, it is an exceedingly good land. The rest of the Jewish population had fled Jerusalem seven years earlier from the advance of the Mongol army. Yet, he found men willing to return to the city, bringing back to Jerusalem the Torah scrolls with them, and he opened a synagogue which is known today as the Ramban Synagogue in the Old City of Jerusalem. Although, it is more probabele that the old Ramban synagogue was located on Mount Sion, because the Jews only moved to the present Jewish Quarter many years later after a dispute with the Franciscans over the ownership of Mount Sion. Nahmanides died in 1270, and James of Aragon in 1276. The era that followed their life witnessed the persecution of Spanish Jews by the Inquisition. The Jews started to come to Poland after the persecutions of the First Crusade and the expulsions in various states of Europe. On 16 August 1264 (15 Av 5024), the king of Poland, Boleslav the Pious, granted privileges to the Jews of his kingdom (see Statute of Kalisz). This new law was unprecedented in Europe and remained in force in Poland for over 500 years until 1795. Some Jewish families, enthusiastic about the new condition they received, changed their name to adopt the name of this city (the Jewish name Kalisch dates from this time and is probably derived from Kalinomus that was changed to Kalish). At the same timeframe that the world was turning against the Jews with pogroms, a new synagogue was completed in the Jewish quarter of Prague, called Josefov. 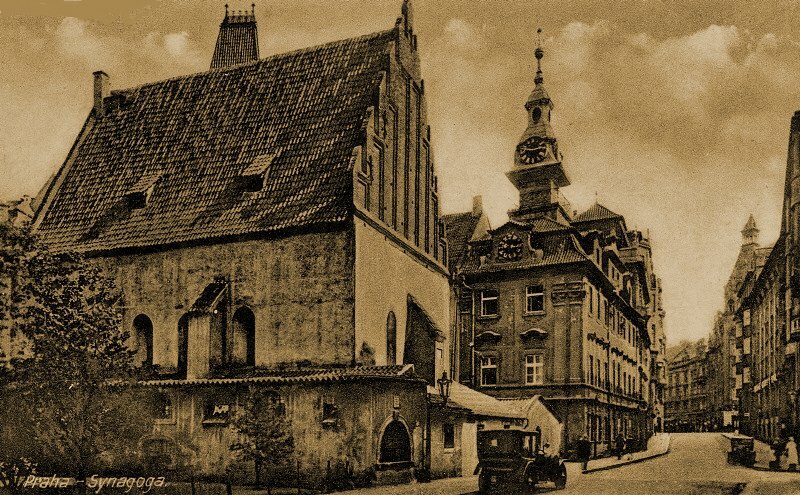 During WW-II, the Germans decided not to destroy the old synagogue but planned to turn it, after the destruction of the European Jewry, into a museum of a "lost civilization"... This evil regime didn't survive and this synagogue still stands today, and is one of the oldest synagogue which is still used in Europe. At the time of the death of Alfonso X the Wise, a census was made among the Jewish communities of Castile, Leon, Murcia and Andalucia, to establish a tax upon them of 30 deniers per head of 16 years old or above. The number of the Jewish population was then about 855,000. The Inquisition started to be active in this kingdom sooner after Alfonso's death. While the Inquisition started to force the Jews to convert, one Jew convinced himself it was necessary to convert the Pope ! Here is his story. Abraham Abulafia, born in Zaragosa Spain in 1240, travelled to the Holy Land at the age of 20 to find the mystical Sabbation River (to read about this river, click here) but was forced by war circumstances to return to Europe, and settled in Capua, near Naples, Italy. There he studied the scriptures, and the works of Maimonides, and became attracted by mystical studies. He was back in Spain at the age of 30, and devoted his studies to Kabbalah and Gematria. He travelled to Greece at the age of 35 and taught there Maimonides' work The Guide of the Perplexed. Then he wrote his own first book, the Sefer ha-Yashar in 1279. Then in the summer 1280, he had visions that induced him to travel to Rome in order to convert the Pope, who was Nicholas III at the time and who had been in office since 1277. Abulafia was determined that the Pope needed to convert before the Jewish New Year of 5041, which fell on 3 September 1280. On hearing that a Jew was on his way to convert him, the Pope issued orders to "burn the fanatic". A stake was prepared for Abulafia in the city where the Pope was at that time but, when he arrived there on 22 August, he learned that the Pope had just died. After some weeks of trouble with the authorities, Abulafia ended up in Sicily where he settled and started to present himself as a prophet to a large number of followers. This brought upon him condemnation from the Jewish communities and the study of his kabbalistic books was banned. In 1285, he travelled to Malta where he wrote his Sefer ha-Ot (the Book fo the Letter/Sign). In 1291, he wrote his last book (Imre Shefer / Words of Beauty) and then he disappeared without trace. It is assumed that he died after 1291, but nothing can ascertain his fate past that year.